Our first clinical trial funding at Dana Farber for inflammatory breast cancer. from Lt to Rt. Marti Staton, Oldman Foundation board member, Terry Lynn Arnold, founder, The IBC Network Foundation, Dr. Beth Overmeyor, Dana Farber, Dr. Angela Alexander, MD Anderson and core volunteer at the IBC Network Foundation, and Suzanne Mader, founder, Karen Oldman Foundation. The IBC Network Foundation supported new research at Dana Farber Cancer Institute under the direction of Dr. Beth Overmeyor. The DF/HCC phase II trial of preoperative therapy for HER2 positive inflammatory breast cancer. The molecular analysis of inflammatory breast cancer reveals a propensity to segregate into more proliferative intrinsic subtypes, such as HER2 positive (+). Studies demonstrate a 30-40% incidence of HER2+ disease among IBC, which is more than twice the incidence in non-IBC. The prevalence of HER2+ IBC and the availability of agents targeting the HER2 domain support investigation into the optimal preoperative regimen incorporating HER2 targeting agents. DF/HCC has an ongoing preoperative trial evaluating combination therapies in patients with newly diagnosed HER2+ IBC, with the goal of maximizing HER2-directed therapy and minimizing chemotherapy exposure. ndergo 2 research biopsies of the affected breast for correlative assays. Tumor biopsy specimens are obtained to investigate the following: (1) To determine whether the pre-treatment status of the tumor predicts HER2-resistance, next-generation sequencing technology will be employed to explore gene expression patterns including PAM50-based intrinsic subtyping. This investigation will be done in collaboration with investigators at Harvard Medical School, the University of North Carolina and at the University of Michigan. The results of this trial will not only provide key information about the biology of IBC and the mechanisms of HER2 therapy resistance, but will support a treatment paradigm that will spare countless women with IBC the toxicity of unnecessary chemotherapy which is administered based upon clinical trial results that involve insufficient numbers of IBC patients. Funding: The total required for this project is $100,000. 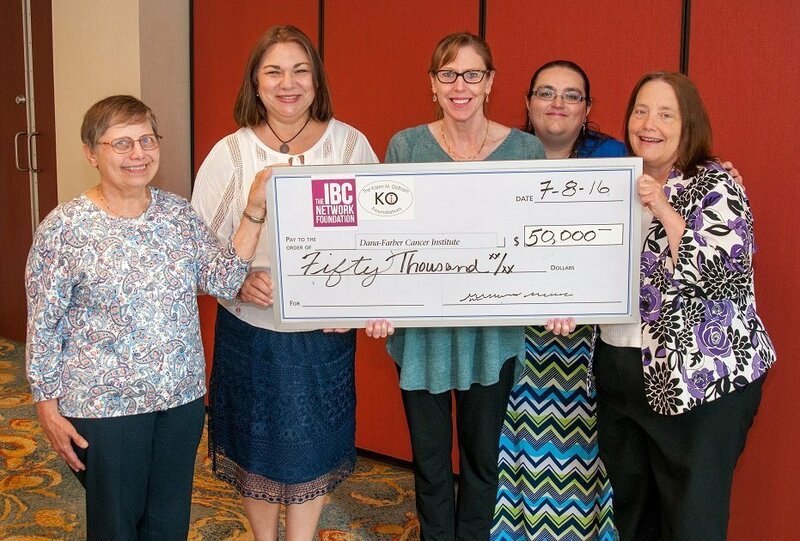 The IBC Network Foundation has committed to this project and will fund the first portion on July 7, 2016 and the remaining $50,000 will be funded December 2016. We arranged to co-fund the first portion of this project with the Karen Oldman Foundation. The Oldman Foundation contributed $20,000 and The IBC Network Foundation contributed $30,000 for a total grant of $50,000. We truly extend our most heartfelt thanks for Suzanne Mader and the board of the Karen Oldman Foundation for their support. We would be remiss if we didn’t thank one of our passionate patient/advocate who has personally taken on the task of spearheading the fundraising for this trial. Barbara, you are a hero to us, and your passion will save lives. Thank you!